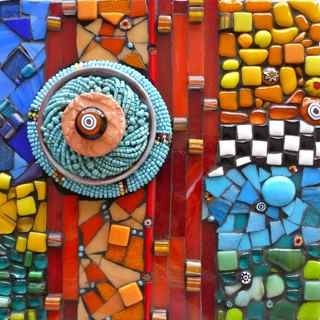 I am a Dutch Award winning mosaic artist and I have been making mosaics for over 14 years on all kind of surfaces with different materials. 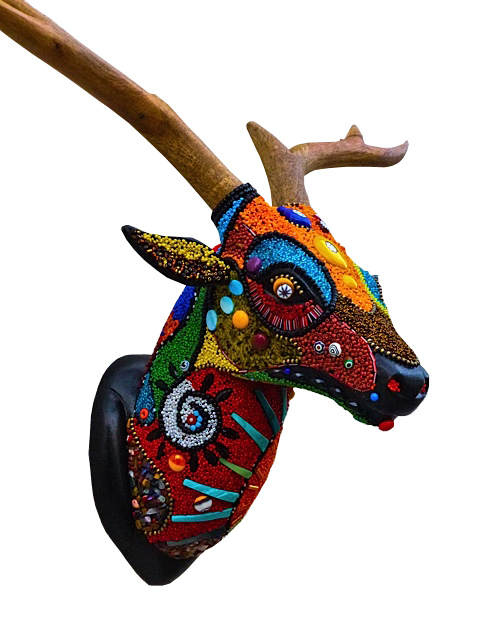 I have made bathroom floors, garden sculptures, functional and decorative mosaics, 2D and 3D mosaics ( trophy Heads) and Fine Art mosaic. My work is held in various countries in Europe and other continents. I am the author of a Dutch Arts and Craftsbook “Wereldhandvaardigheid” and my mosaic work is featured in Mastering Mosaics , The Mosaic yearbook and Mosaic Madness. 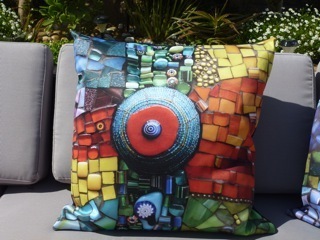 I studied Arts and Crafts and Recreation Art Therapy in the Netherlands and attended over the years a diversity of mosaic Master courses in Italy. I have been teaching in the UK, in Switzerland and South Africa to students of all levels. I include African beadwork in my work to involve the community and crafters around me, collaborate, empower, transform and improve their lives, as well as to creatively inspire and challenge each other and to set up new creative applications for both parties. 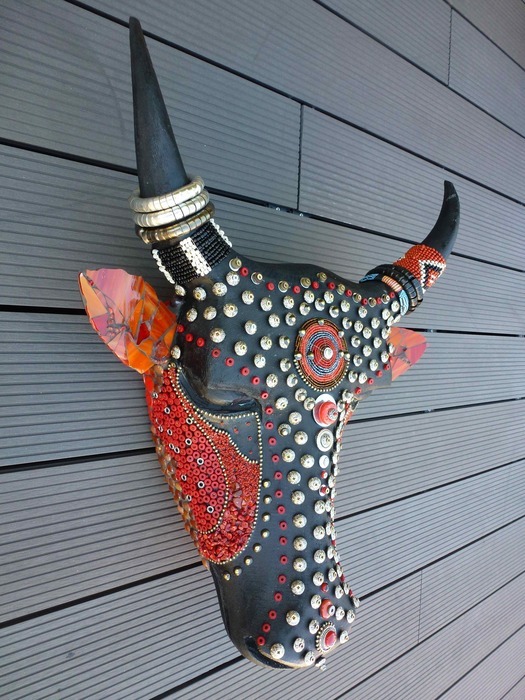 I specialise in 20 by 20 cm abstract mosaic squares to collect and Trophy gemsbok and bullheads on woodcarvings. drawn to create art that would create dialogue about this issue. 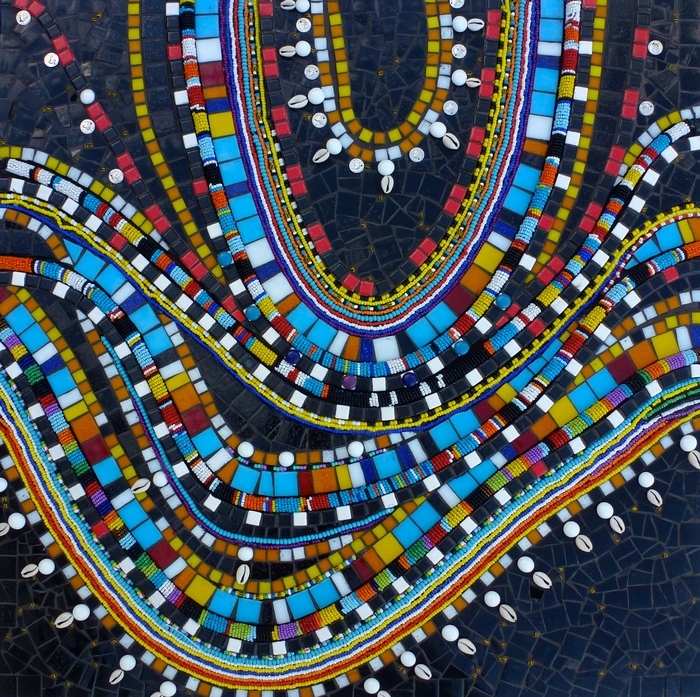 colours and the traditional use of beading within African culture and craft. 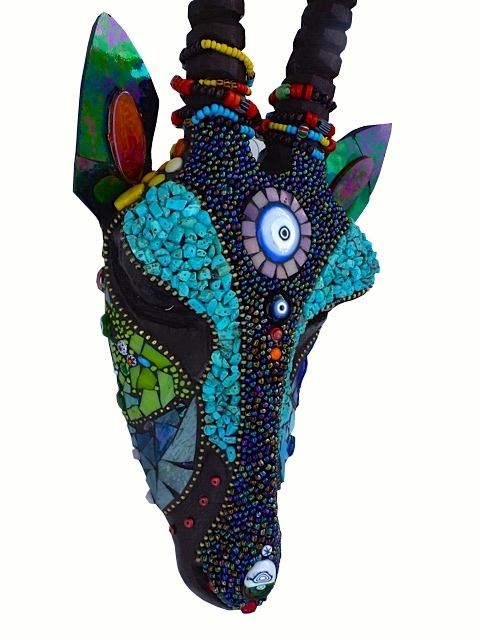 Mosaic gemsbok, wood carved, decorated with glass and tribal beads, African jewellery and beadwork and handmade glass fusions. 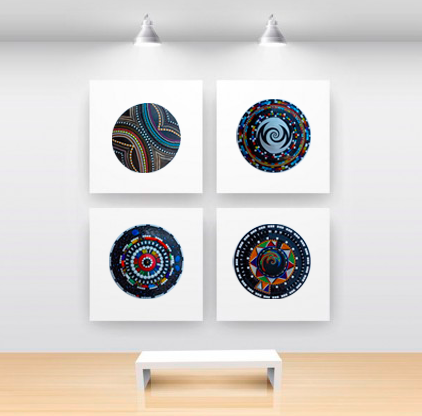 I digi- print the designs of my mosaic blocks on textile. 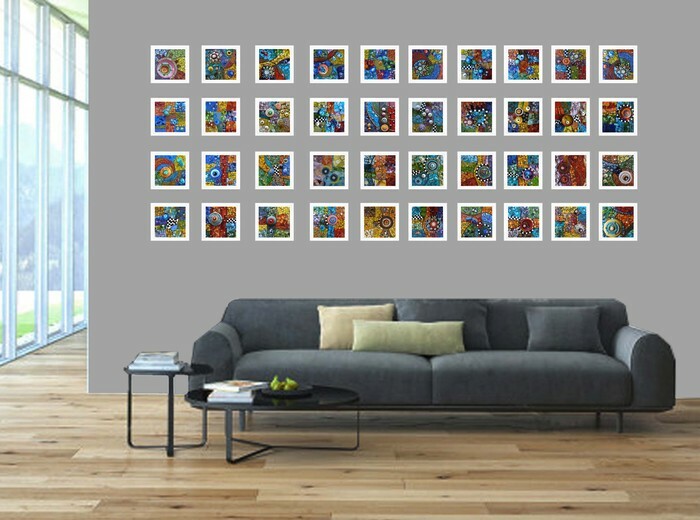 The "Dream" series is a collection of mosaic squares 20 by 20 cm that can be bought individually, collected and arranged in your interior in the quantities and configuration you wish. 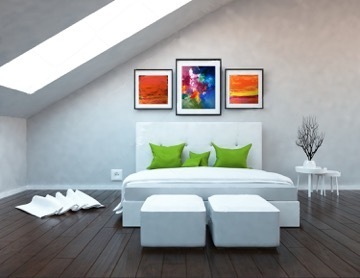 The theme of the squares are all abstract.